Chores are an electronic music duo who have spent 2 years working their way through the underground of Auckland's house music scene, racking up thousands of plays on originals and creating remixes for credible Australian labels such as Sweat It Out and Medium Rare. 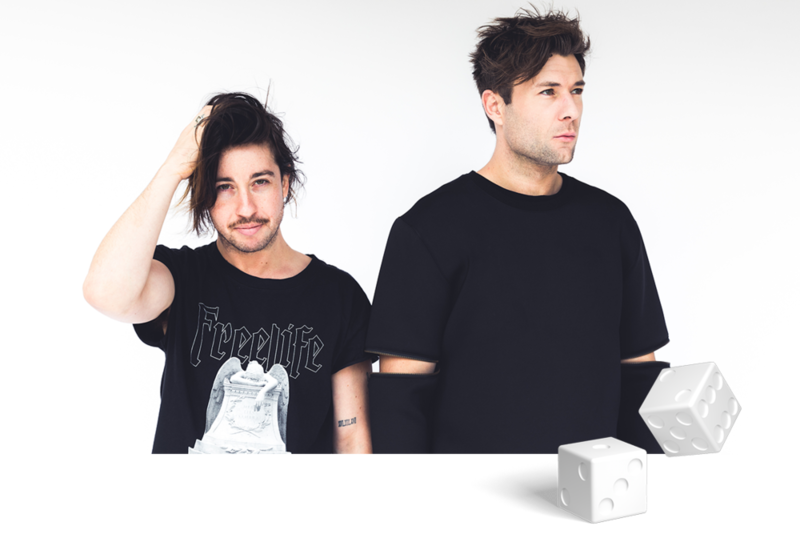 Their debut single ‘Telling Lies’ featuring Bowsell has already been spotlighted on prominent blogs such as Acid Stag, This Song Slaps, Stoney Roads and garnered the support of international heavy weights Peking Duk. With more music on the way, Chores are ones to watch. We are over the moon to have Chores, one of three artists nominated for the 2018 Georgies’ International Achievement Award, returning to Rhythm and Vines! 2018 has seen the boys release some absolute smash hits including Surrender, Got It and Vampire Teeth - three tracks you’re guaranteed to have bloody sent it to. Get around it.